What is the best GPS tracker? The device should be convenient to use so that your kid could enjoy carrying it. The product should come with several useful features, including an alert button. And it should be appealing to your kid, so consider products with a bright design. We believe that GizmoWatch™ meets these criteria best. Why have we chosen this model? This brand-name product is available in two colors — blue and pink, for boys and girls. With the speed of the US largest 4G LTE network, the device provides 2-way voice calling and messaging capabilities. You may choose 10 contacts for your children so that you are sure that they communicate only with trusted persons. As a waterproof gadget, it can be used in a swimming pool or in the rain. Legal Disclaimer: Is it legal to use GPS trackers in the USA? Looking for a GPS tracker for your child that doesn’t fail you after a week? Want to buy the device that both your kids and you would love? If you want to make sure your kid is safe at all times, then our guide is for the moms like you! We’ve spent almost 50 hours completing this thorough investigation to make sure you choose the best GPS tracker for kids that works! You’ll also learn how GPS tracking works, if it’s legal in the US, different types and comparison of popular brands, our recommendations, and answers to the frequently asked questions. As a busy working mom providing for my family, using a GPS child tracker seemed like an easy fix. But when I first looked for a device online, I found there were few good options worth buying. 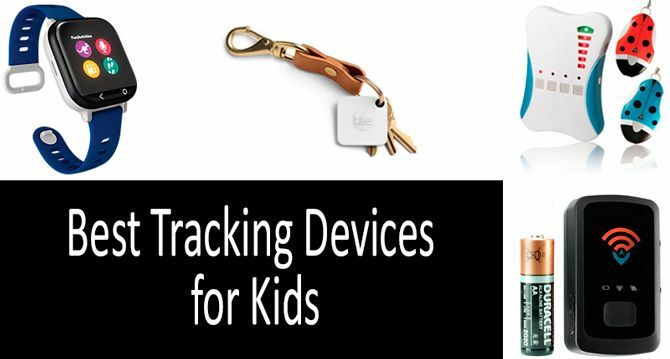 So I started my own investigation and research, which turned into a comprehensive review of the most reliable child tracking devices available on the market. I wanted to know if there were legal, how they exactly worked, how they tracked my child’s location if they stored my or my child’s information anywhere for sale to a 3rd party and any other marketing purposes. I also wanted to find out the limitations of such devices and when it was better not to rely on them at all. Anyway, dig in and join me on my journey to discover the best tracking device for kids. Let me address a couple of cases, acts, and definitions to get the legal issues straight and out of the way. 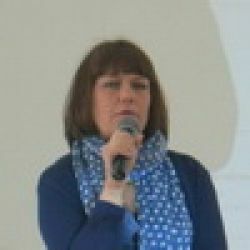 This particular case confirms the idea that parents have control over their children’s lives to a particular extent, and can exercise authority over their children’s decisions. The Location Privacy Protection Act of 2012 prohibits anyone from “collecting, receiving, recording, obtaining, or disclosing … geo-location information from an electronic communications device” of any other person without her direct consent and authorization. However, the act provides an exception for parents (or legal guardians) to locate a minor child. The minor child, as of 1995, is legally defined as a person under the age of 18. While it’s officially legal to track your children’s location if they have not yet reached 18, I still advise you to obtain their consent to be tracked. Let me explain why. If we look back at the BELLOTTI v. BAIRD case, which primarily concerned the need for teenagers to obtain parental approval for an abortion, the judges ruled that teenagers did, in fact, have to obtain such permission. However, if the parents refused, teenagers can obtain the consent by order of a judge of the superior court. That means, if you track your kid without her consent, there is a possibility, however small, for your kid to go to court. What is definitely illegal is to track anyone over the age of 18 without their direct authorization, as well as store and sell that information without the user’s consent. Get your kid’s permission and see how these devices work. The majority of tracking gadgets uses the GPS to track the device’s movements and determine its location. The recorded data is either stored within the gadget or sent to another device that is connected to the internet using the radio, satellite, or cellular modem. That is how and why you can see the device’s location pinned on a map in real time or can check later if using a particular GPS tracking software. All of the GPS kids trackers have distinguishable features: portability, autonomous and advanced power supply, built-in manufacturer-designed software. Control the kid’s movement in allowed or restricted areas which you can set as a parent. You can literally zone the whole town, e.g. “neighbor’s apartment”, “bad neighborhood”, “school”, “backyard”, etc. As soon as your kid is in one of these designated areas, you get a corresponding notification on your PC or smartphone. Now, let’s cover the main type of tracking devices and their best representative models. I wouldn’t recommend cheap devices with 2G because they might not work in the US, are based on the outdated technology, and might not provide accurate tracking coordinates. However, I still decided to cover them so you know what to look for and what to avoid. My choice is the GizmoWatch, which I also extensively cover later in this article. GPS devices obviously work on GPS technology, or Global Positioning System, or more simply, a virtual map that can determine the item’s location. Not to be confused with GPRS (General Packet Radio Service) – an add-on over GSM technology that transmits packet data and provides access to mobile Internet. A few watches described hereinafter, theoretically, should also work without a SIM card. All you need to do is install the manufacturer’s app on your phone and monitor your kid’s activity. Some of the watches have a GSM module, which unfortunately only supports the 2G standard. The 2G standard has been superseded by newer and better technologies, thus many countries discontinue the use of 2G technology, including the United States. The only carrier in the US that has postponed the shutdown of their 2G network until 2020 is T-Mobile. If you decide to purchase any of the watches with 2G with no SIM included, please, check with T-Mobile and see what they say about the possibility of supporting your device. Check if they still carry SPEEDTALK SIM and if it’s going to work with the watch. If you’d like to purchase a GPS watch with SIM that would have better chances to function inside the US, then consider looking for devices that support 3G/4G. A few other GPS trackers that I definitely recommend are GizmoWatch, AngelSense, and Spy Tec GPS Trackers. This product with a sleek and modern design will cost you less than $200. Available in blue and pink colors, the model will please both boys and girls. However, it is not just the product's consumer appeal that caught my attention. The smartwatch has plenty of features that will greatly contribute to the safety of children. Alerts will be sent automatically while GPS locator will keep you in the loop. With 2-way voice calls and messaging capabilities, the device can contain up to ten contacts authorized by you. On top of that, such functions as a step tracker will encourage your child into sports activities, turning physical exercises into sheer fun. What I particularly like in this product is its waterproof design and robust construction. Indeed, my children cannot sit at one and the same place and for me, it is important that the device cannot be easily broken or damaged. You won’t have any problems with using the device. Just download the GizmoHub app that is compatible both with Android and iOS.4. These GPS trackers are designed for a wider application and can be used not just for kids and elderly members of your family but also for your pets. Actually, this is a unique chance to bring the whole family under your full control! The main advantage of this model over others is the coverage. The manufacturer guarantees real-time geolocation regardless of a distance while many of the analogs offer only limited coverage. Since the tracker will be used by kids, convenience takes on particular importance. Once turned on, the device is ready for use within minutes and does not require any installation. If anything happens to your kid, he or she will notify you by simply pressing the button or just calling you because the device can function as a phone. The latter will be especially valuable in a situation where your kid has lost the cellphone or someone has snatched it from his or her hand. Actually, the tracker can be a much safer alternative to mobile phones when it comes to children. Before I delve deeper into describing all the features of the GPS Tracker from Spy Tec, let me tell you that the Spy Tec products are reliable devices and worth every dollar. The Spy Tec is an American company, voted by TimeOut New York as a Best Spy Shop, and that shares their surveillance and security expertise on shows including Anderson Cooper, New York Daily News, CBS Early Show, National Public Radio, among others. Among the customers of Spy Tec are companies like UPS, Amazon, NYPD, FBI, etc. So you can imagine that the device must be a fine piece of equipment and worth buying. So, let’s get back to the Spy Tec GPS Tracker. The device is perfect for tracking vehicles, elderly people, children, and teens. The Spy Tech says that you can even track your spouse, but, please, make sure that you understand it’s illegal unless your spouse gives an informed consent. The device weighs 2 ounces and is 3 inches in length, thus can be easily inserted into a backpack, attached to a belt (with the available Belt Holster), or attached to an underside of a vehicle (with the available M2 Waterproof Magnetic Case). The battery life is exceptional and lasts about 2 weeks. The SpyTech gadget has a built-in accelerometer that detects motion and powers the device on or off which depends on whether the gadget is moving. That prevents the battery from dying off at unexpected and inconvenient (sometimes crucial) times. The device provides location updates as often as every 5 seconds, so you can track fast moving people and vehicles. The SpyTech website will allow you to add-on special features like geo-fencing, so you’ll be notified when your child leaves a particular area or made an unexpected stop. «Great device, Great customer service! The tracker was incredibly easy to set up. Charge lasted longer than what other reviews stated (mine is still 55% after just over a week). Only thing is if device is placed on a very active vehicle, battery will not last a 2 week span. Battery lasted about 5 days on vehicle that was very active». «I traveled to an area that is known for high 4x4 pickup truck thefts. I also purchased the the magnetic mount, waterproof case. The cases magnetic mounts are very strong. After being on vehicle for 5 days (four of those days being really rainy days) case remained exactly where it was mounted under the vehicle, and device inside case was completely dry with no sign of any moisture in case. If you purchase the GPS device, YOU MUST purchase this case also». Don’t get me wrong, the device doesn’t come cheap, but for parents of kids with disabilities and autism, it can become indispensable. The AngelSense is not a watch, but rather a small touchscreen phone, that can be used to track kid’s location and call a child who doesn’t know or is not able to pick up the phone. The AngelSense comes in a water-resistant silicone cover, which I don’t advise to remove. Put the AngelSense device inside its black sleeve and attach it to a child’s backpack or clothing. One year subscription paid in advance will cost you around $400-500 dollars. The price includes a GPS device, a black sleeve, 3 fasteners, 1 magnetic key, charger, and a travel case. Once you purchase a device, you need to register it at the AngelSense GPS portal and take a quick questionnaire about your child and her needs. You’ll also need to download the AngelSense app on your phone to make the tracking easier. The AngelSense GPS tracks your child’s location at all times, particularly when she travels to prevent occasional wandering. On the downside, the device doesn’t support wi-fi. Then there’s this Listen-in feature which drew a lot of attention and criticism lately, but which can come in handy, especially when your child is autistic. The listen-in feature allows you to call your child without her knowing it and listen to whatever is going on near her when your call is automatically put through. If the devices come with SIM: allows calling, listen-in features, and more. “Note that wearable devices have a significant advantage in that there is less of a chance they’ll get lost or even worse purposely discarded by an attacker / abductor,” he said. Reliable devices often times come with high monthly fees and are not cheap. Now let’s cover another type of trackers that are suitable for shorter distances, and will work well for toddlers, or the elderly who don’t travel long distances. Tile Mate has recently made their device even smaller, now it might fit practically anywhere: looped on a keychain, clipped to a backpack, or placed inside the purse. The device has a really nice and simple design. You can buy either one or four devices at once for all family members, making it a great option for those on a tight budget. While the device might not be very appealing to kids (it’s not colorful and doesn’t really have any additional features) it might be still worth a purchase. Just put the Tile Mate inside the kid’s school backpack and you’re set! Install the Tile app on the phone and track the last known location of your child. Not suitable for longer distances, however: covers up to 100 ft. Besides tracking kids, the device finds your phone, just double tap to make it ring, has a nice Tile community around it that might help you track your lost items. The downside is that the Tile case is sealed, and the battery is good for approximately one year, so if you want to continue using the device, you will have to replace your old Tile with the new one applying for the manufacturer’s “re-Tile” program for a fee. Guardian Angel might be more appealing for a kid because of its rather playful design resembling a ladybug. There are, in fact, two devices that will come in a single package: one is the base unit, the other one is the tracking unit or tag. You can set an alarm for the following distances: 16 ft, 32 ft, or 64 ft. When the kid trespasses the pre-set allowed distance, the 95 dB alarm will be triggered in both the base and tracking units. There’s a Panic Button on the tracking unit which when activated sets a signal to the base unit and sets off a vibrating alarm of 95 dB. One base can control up to 4 tags (tracking units). There’s a possibility to set a vibration alarm only. My Buddy Tag is more than just a cool little wristband. The device, just like many other Bluetooth tracking devices, allows you to pre-set distances in proximity settings, ensuring your child doesn’t wander away. One of the advantages of this device is that it is waterproof and can be submerged in water. This feature makes the My Buddy Tag a perfect option if your child attends a swimming pool, you live near the ocean, or plan a vacation. The gadget alarms you if your kid is under water for a certain period of time to prevent accidental drowning. The gadget also has a panic button which when activated sends you a signal that your child needs help. You can adjust the Silicone wristband by a coin screw fastener from 5.5 to 8 inches to prevent easy removal. The free app comes for iOS and Android. «I like the simplicity and cost of this product - no SIM card or subscription to worry about or charging of batteries. My 4YO and I have been testing it out around the house - so far so good. I bought this for our upcoming Disney World trip. Simply helps me ensure that my child is within close proximity of me. In addition to the alarm, it allows me to see his location on a map, and allows him to contact me with the panic button if he needs it.». «We having two very very active little boys and we got My Buddy Tag before a trip to Disneyland in 2015, and the original battery still shows as charged. It's been used at Disneyland, in Chicago, and at the beach. The location map is fairly accurate, so it's useful if we split up. I love the customizable alerts, the option for a vibration alert, and the fact that it requires effort and a little time to remove it». I personally would recommend this device to anyone who is concerned about her child safety. The VindiTeach is a personal alarm that can be activated by pulling the pin whenever your kid is in danger. If your child thinks that she’s followed, approached by a suspicious stranger or lost in an unknown neighborhood, she can pull the pin out to set off an emergency alarm of 130 dB that can be heard within 1,000 ft. The device comes with an LED flashlight making it easier for a kid to look for something in her backpack or light her way home in the dark. Finding the right device for you and your kid is crucial because a badly working gadget will make you even more nervous as to whereabouts and safety of your child. Usability: how easy is it for a child to understand and use? If your child likes the device and it’s relatively easy to use, I still recommend you instruct her when and where to use the device and how to press the Panic/SOS buttons (if applicable). Battery life: ensure the battery won’t die unexpectedly whenever you most need it. Always recharge the device overnight, if need be. Otherwise, consider investing in a device with a charge hold of at least a couple of days. Age: if you buy a watch that’s too bulky or too big for your child’s arm, then that’s not going to work. Look at the dimensions of the device you intend to purchase to ensure the device is made for kids. Features: if you need geo-fencing, zoning out the particular areas of the town or city where you live, then invest in a device that can do exactly that. Ensure there are alert or panic buttons in case of an emergency. Water resistance: if your child swims or you leave by the ocean, then ensure the kid’s GPS tracker is waterproof. Design: if you want your child to wear the device at all times, make sure she falls in love with it. Ask her to choose between the reliable options you pre-selected so that she feels important and cared for. Is there any child tracker for toddlers? Yes, buy the Bluetooth gadget described hereinabove and attach it to your child’s clothing. Is there a child tracker for shoes? Theoretically, you can put a small Bluetooth gadget (like Tile) into the child’s shoe. But I’m not sure if she is going to be comfortable enough. Is there a child GPS tracker without a monthly fee? There are some free apps on a smartphone which you download and use for free. You can buy Chinese watches with 3G SIM card, but I am not sure if there are going to properly work. Other than that, all credible reliable devices usually come with a monthly charge. Is there a child tracker without SIM? Yes, there are plenty! Consider buying a simple GPS tracker or a Bluetooth gadget. What GPS tracker for a child with autism will you recommend? The AngelSense is the most reliable device for children with special needs. What gps tracker for kids with a long battery life do you recommend? The Spy Tec battery lasts 2 weeks without a charge. Is it legal to GPS track your child? If your child is under 18 years old, it’s totally legal. But I recommend you talk to your child (especially a teenager) to obtain an informed consent. Tile case is sealed, and the battery is good for one year, if want to use longer must join “re-Tile” program for a fee. Alarm for the following distances: 16 ft, 32 ft, or 64 ft.
Smart GPS Tracker from ZHLL – warning! SmartWatch for Kids with 2G I don’t recommend buying: Warning! While this watch might seem like an easy solution for tracking your child, it is not so. This watch requires a 2G SIM card that might not work in the United States. The latest reviews from buyers suggested they were not being able to make the SIM work on any mobile operator. Others suggested the tracking was not accurate, sometimes showing completely different locations altogether. Be careful when purchasing goods that were manufactured outside the United States, especially those that work on GPS technology. The device comes with an LED flashlight and a selfie camera, which I am sure your kid will love. You can restrict the usage of the device whenever your kid is at school (set timers), by simply switching the “school mode” on. There are other features that will make both of you happy: a pedometer, alarm, sleep control, find watch, rewards, quick learning, voice chat, etc. I wanted to cover another Chinese GPS Kid Tracker, so you won’t swallow the bait and get scammed. This Mini GPS Tracker is supposed to work for tracking vehicles, children, and pets combined, however, buyers said that the GPS showed China locations. The SIM was not compatible with American companies; the app didn’t recognize the IMEI number on the tracker; there was not any technical support for the item. So, please, save your $30 and buy something that will work. This is the safety of your kids we are talking about. The device looks colorful and pretty and kids might love it. It has some other features like a pedometer, sleep tracker, and a calendar. Those features, however unimportant and useless they might sound for an adult, can get a kid excited and make her feel important and grown up. So whenever possible I never disregard these things. The device is not cheap, and I am not sure if it’s worth it since I have not tested it on my kid. But the device looks cool, appealing to a kid, supposed to work with 3G, comes with additional features. So if you decide to buy it, you’re buying it at your own risk, so beware. I’ve made a table below to make it easier for you to choose the device that is suitable for the age of your child. Install a GPS app on her smartphone with a GPS app or buy a wearable gadget with add-ons like social and interactive features, such as chats or “family monitor,” which allows a child to see where her family members or friends are on an interactive map. Opt for GPS gadgets with speed detection if your teen drives a car. Buy a GPS band or a smartwatch. Perhaps, the easiest option that you choose is installing an app on your kid’s phone that would track her location. However, let’s look at the pros and cons of using apps before we delve any deeper. Let’s cover 3 basic smartphone apps available on both android and ios: paid, free, and the one with the additional perks. This app allows to not only track family member’s location’s, but also share free cross-platform messages, zone out particular areas on the map and geofence others, receive notifications, check-in various places to let others know where you are, and send/receive an SOS with exact coordinates. You, as a parent, can set yourself as an app administrator, which has various advantages over a regular app user (your kids): you can set an invisible mode, check and uncheck safe and dangerous zones, etc. Download the app for free. Purchase a lifetime license for $14.99. There are other payment options available. Please, refer to your iTunes Store or Google Play. While it was not entirely created as a family tracker, but as a real-time location sharing app, it’s still used by millions of users to track their friends and family members. Acquired by Snapchat, Zenly has become even more popular among American users. Moreover, it’s free! Snapchat claims that over the years they’ve come up with a special algorithm, which enables them to use phone’s batter more efficiently. Kidgy is somewhat entirely different tracking application, since it tracks not only the GPS location of your children but also allows you to track their online activity, block particular websites, limit internet access for school and sleep hours. Kidgy is a subscription-based app with fees starting from $19.99. The free version is available with the limited set of features. Anyway, whenever you want to control your child to the extent of reading cell phone messages or setting tasks, maybe consider talking to your child first and explaining in person your wants and concerns? Rather than setting tasks remotely, maybe say them in person? No device or app will help you build a better relationship with your child or replace your physical presence. Try to establish a trust-based and loving relationship with your kid first, before resorting to critical measures of tracking everything she does or says online. While there are a lot of unreliable options on the market right now, it’s still possible to find a good working GPS tracker for your child. I recommend buying the devices from credible manufacturers, preferably the US made. Ask yourself what exactly you want the child tracker to do: track the location, prevent wandering, restrict areas, check the child’s activity, call your child, or ensure she can call you or press the SOS button whenever in danger. As soon as you write down the list of features that are most important to you, then start looking for a device that will meet your requirements. Other than that, ensure your child likes the device and wants to wear it. Good luck and keep your kids safe at all times. The Gizmo 2 is a 3g device and Verizon no longer supports 3g. If you want the Gizmo, you need to purchase their upgraded version. We tried to register an older Gizmo 2 and they wouldn't/couldn't get it to register. So, don't buy any older versions off ebay, etc. Thanks foe sharing the reviews!!! What is the recommendation for the age 2-3 years old? My kid is now 2.5. Our need is to get help with crowded places and beach, so waterproof needed. Recently I went with my family, and this is my wife, and the child, to Milan. After reading a couple of forums about trips, I found there an interesting thing, many recommended using a tracking device for children, which would be easier to watch for the child, because Milan, this is a tourist city, how not to twist, and the people there a lot. I would not like that there would be a similar situation as in the film «Home alone» ahahaha! A very useful thing if your child comes home alone. And if your child constantly forgets something, you can choose an option that is attached to clothing, or a backpack. and your child will be under control. are there any long distance tracking devices for traveling even overseas? I had seen one but it was sold out.